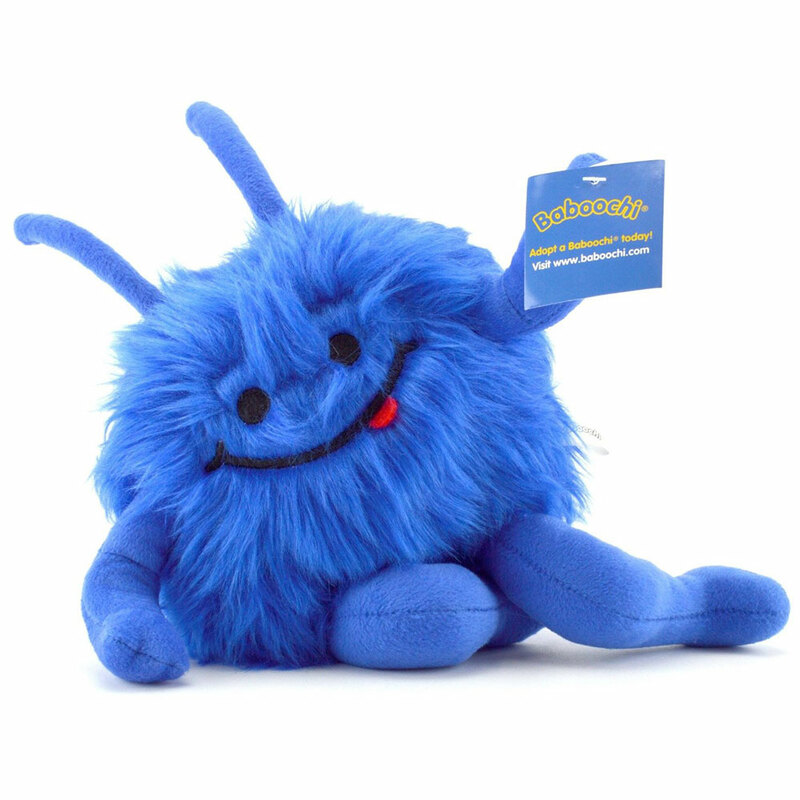 I have fallen as much in love as my son has with this little blue fuzzy-wuzzy! We originally got it for a potty training friend, but our son has really adopted it. At 21 months old, we didn’t expect him to really “grasp” the story just yet. But he really is all about protecting his Boo (Blue?) He hugs Boo and makes sure Boo has his “food” (plastic food from our toy kitchen) as well as tucks him in at night. We love taking photos of him with his blue fuzzy friend. 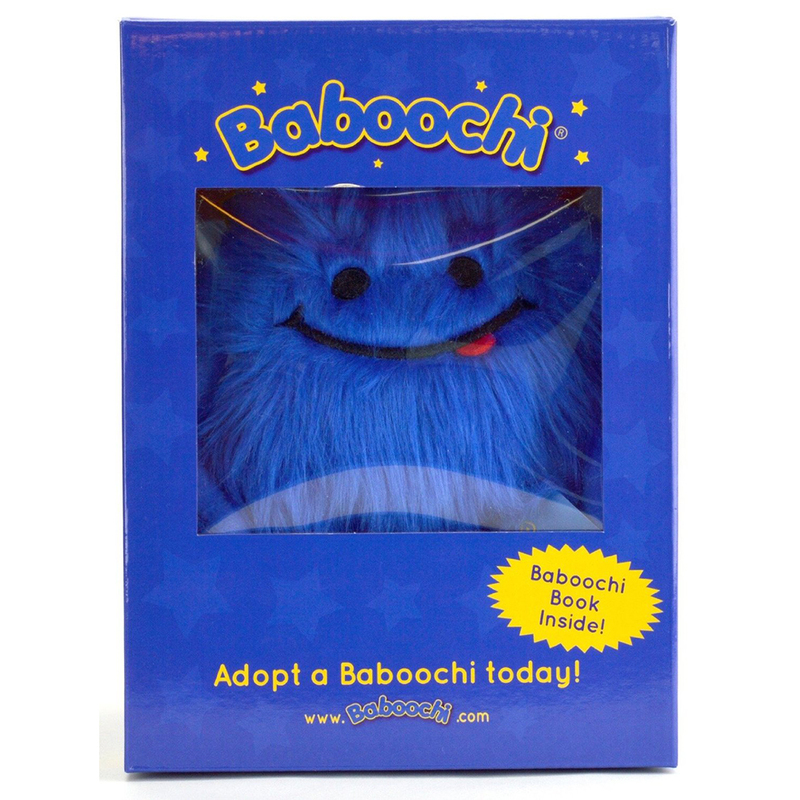 While toys generally have a lifespan, Baboochi is going the distance in our house. I have even been tasked with making Boo some pajamas. 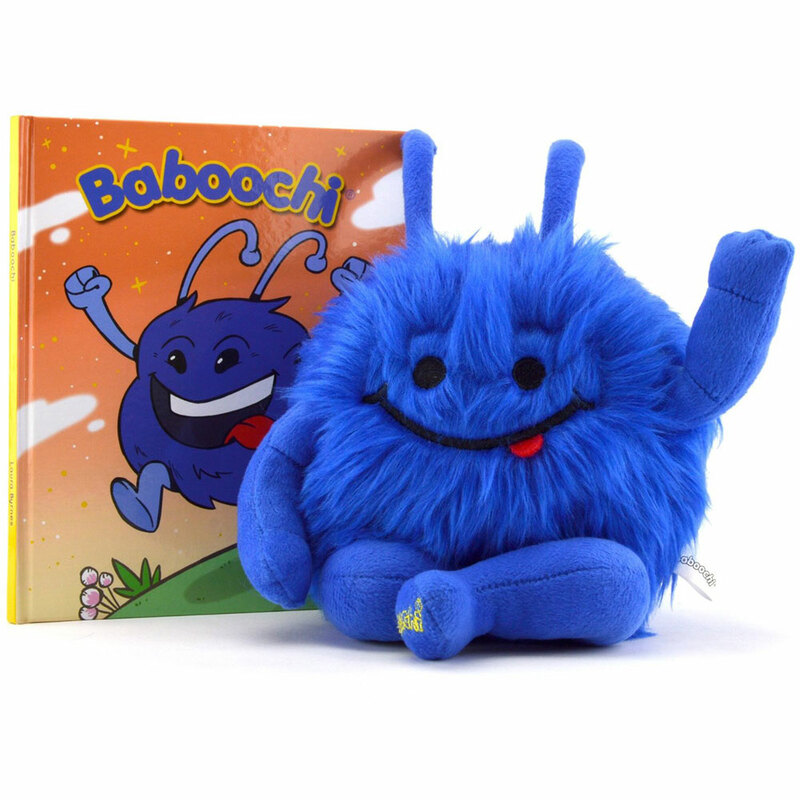 Thanks to the Baboochi story, bedtime is much smoother, as he knows he can only hear Boo’s book if he is in bed on time without a fuss. This little toy is so amazing. I don’t know what it is, but something about this doll really catches a child’s imagination. Maybe its the charming little fuzzball’s smile, or maybe its the presentation of adopting it. Whatever it is, it works. I heard for weeks after gifting this about how much they loved the little fella and it was a mainstay in their bedtime rotation of stuffed toys. Of course, every toy will eventually run dry on charm, but the Baboochi still has a place at least by one child’s bedside. Bought this little dude as a travel companion for my daughter when we go on vacation this month. She named him Cheddy and seems to like him. She enjoyed the story and wants to protect him. We plan to take pics of him on our trip. 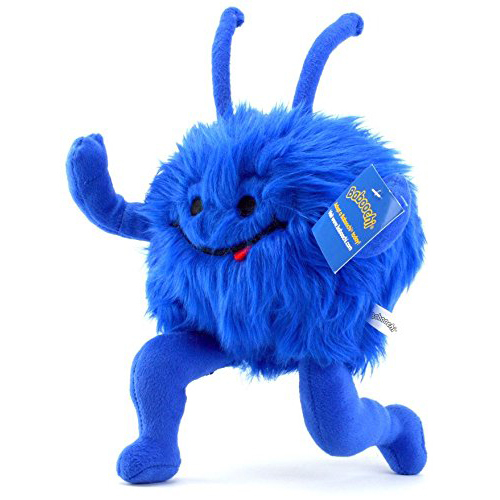 The legs and arms are poseable, I was disappointed that the antenna aren’t too. But it’s good quality and perfect for what we wanted. Very cute and the story book it comes with is inspiring. My grandson loves it. My six year old LOVES this toy and the story that goes with it. He named his Baboochi Comet. My 2 year old granddaughter and my 3 year old nephew love it! My son loved this gift from “Santa”. He takes it to school every day for nap time and talks about it all the time.